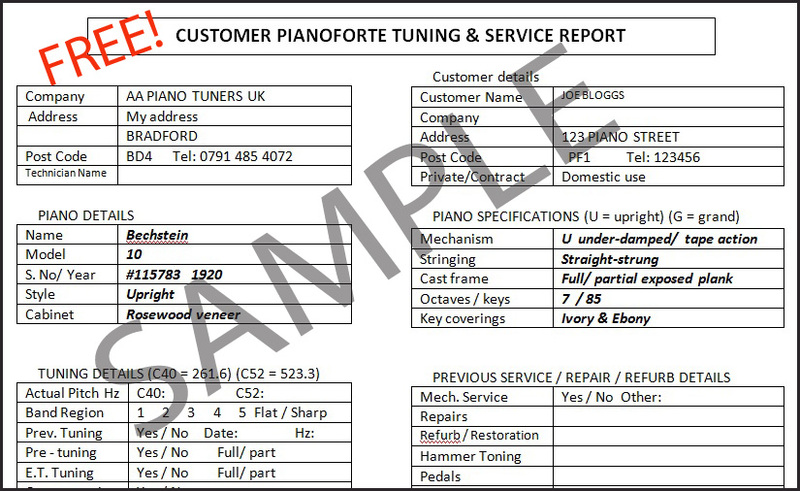 This free service is mainly for new customers, but if you are an existing customer, please request for a piano report update. Please allow up to two hours for your visit. Image above showing the top half of the report. Please note that this service record sheet is not an assessment or main inspection report - please ask for details.